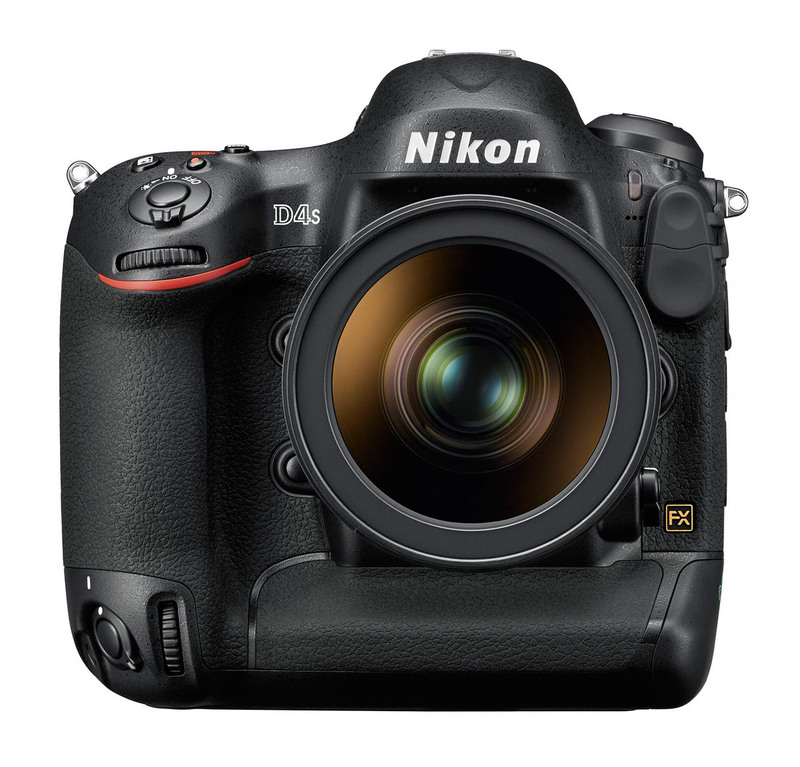 Step aside and make way for the new DSLR king – the Nikon D4S. Nikon tipped their hand about the new flagship camera at CES, in Las Vegas, last month. Hard facts were scarce but they stoked the rumor mill by showing off a camera behind glass. Tonight, they went public with the final D4S features and specs – and they are excellent! 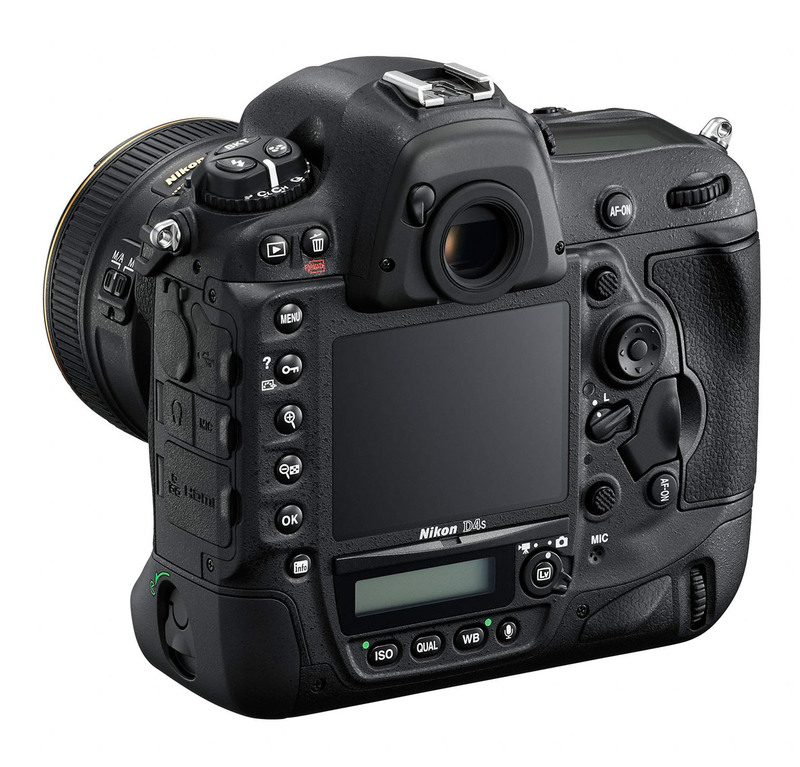 It has a new 16.2-megapixel FF-format (full-frame) CMOS sensor and the latest EXPEED 4 processor for more speed and improved high ISO performance. 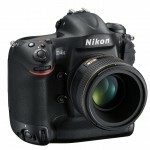 In fact, with the D4S, Nikon reclaims bragging rights for the highest available sensitivity – a ridonculous ISO 409,600. 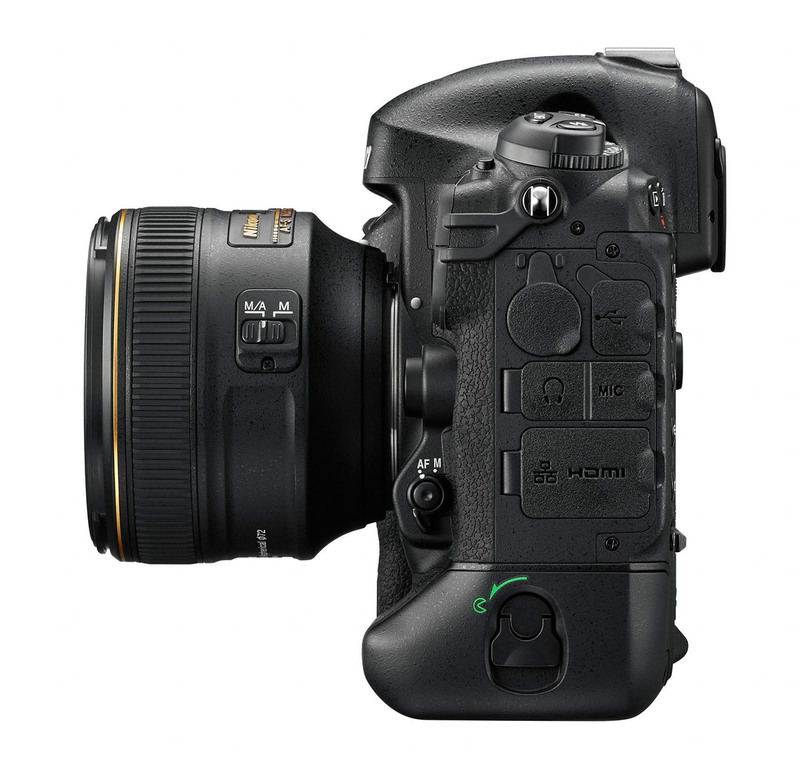 The D4S also has better auto focus, faster continuous shooting, improved video and a new higher-capacity battery. Although the Nikon D4S looks pretty much the same as the D4, its key internal components, the new 16-megapixel full-frame sensor and EXPEED 4 processor, give it a much higher level of performance. The Nikon rep that briefed me on the camera said he “couldn’t spot” noise at ISO 25,600. That’s crazy talk! I’ll have to see some samples to judge for myself. If the D4S is really a couple of stops better than the D4, then that’s a huge step forward. Expanded sensitivity settings are mostly about bragging rights so I don’t expect the ISO 409,600 setting to be very good. 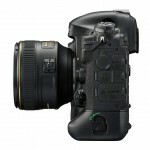 But if the D4S really has totally useable ISO 25,600, that’s huge – especially for sports photographers, concert photographers and photojournalists who need both fast shutter speeds and good low light performance. I was really impressed that I was able get good quality action photos at ISO 6400 with the D4. Being able to push the sensitivity a couple more stops will be incredible for photographers who really like shooting in natural light. 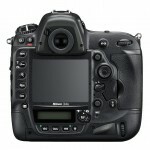 There’s a new image quality option in the D4S – RAW Size S. I really would have liked to see this in the D800. It would make it a much more versatile camera. Better late than never, though. For those times when you don’t need full resolution but you still want the post-processing benefits of a RAW file, the new RAW Size S reduces the D4S’s RAW resolution by about half. It’s excellent for events where you don’t want or need full-res files, or if you run short on memory. The RAW Size S images are 2464 x 1640 pixels – small enough to speed up transfer and put a lot more photos on a memory card; but still large enough for the Web – and even useable for full-page print output, if necessary. The EXPEED 4 processor is supposed to be about 30% faster than the EXPEED 3 processor that was in the D4. Besides improving image quality, video quality and increasing the video frame rate, that extra power allowed Nikon to make the D4S considerably faster. The D4 was able to shoot at up to 11 frames per second with the focus locked, but only 10 FPS with continuous AF. With the improved processing, the D4S can shoot at 11 FPS with continuous auto focus. That may not seem like much of a difference. But for professional sports photographers who need every edge they can get, that fraction of a second can make a real difference. Besides the added speed, Nikon says they’ve improved the auto focus performance with a new focusing algorithm. With the D4, I was able to get great results shooting mountain bikers at ISO 6400 in ridiculously low light with continuous AF. I don’t quite know what to expect from the D4S, but if it’s better than what I experienced with the D4, it’s going to be amazing. Nikon also added a new Group AF mode option that expands the auto focus area out from a single point to five points, for improved accuracy. This is another feature that sports photographers as well as wildlife photographers will appreciate. 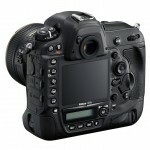 It makes it easier for the camera to lock onto and track quickly moving subjects, ensuring more sharp, useable photos. 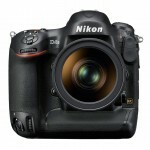 The Nikon D4S’s video specs and performance have been significantly improved. At the top of the list is the faster frame rate. The new EXPEED 4 processing allows the D4S to record 1920 x 1080 full HD video at 60 frames per second. That means smoother-looking video and the ability to record high-quality slow motion action videos. The faster processor also makes “simultaneous recording” possible. That means the D4S can simultaneously output to both a memory card and an external recording device via the HDMI output. It can even output uncompressed 60p video through the HDMI connection. For the time lapse shooters, the D4S has a built-in intervalometer; and Nikon says it “renders exposure transitions with unprecedented smoothness.” Anyone who’s made a few time lapse videos will be familiar with the challenges of eliminating flicker and making smooth transitions. Those are things that usually have to be done in post-processing. Being able to have the camera take care of those problems for you is a big benefit. Although the D4S looks pretty much exactly the same as the D4, there are a couple of subtle ergonomic changes. The grip is a little thinner to open up the space between the lens. The thumb rest on the vertical grip is supposed to be different, too. 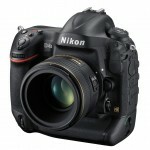 Although for the life of me, I can’t see the difference in the product photos Nikon provided. Of course, it wouldn’t be a flagship camera if it wasn’t built like the proverbial brick restroom. The D4S has a dust and weather-sealed magnesium alloy body that’s suitable for embedded battle photographers as well as wedding photographers with slippery fingers. It has a shutter assembly rated for 400,000 actuations and the mirror has been redesigned with “double mirror balancing” to minimize mirror slap and better handle the D4S’s 11 FPS high-speed burst. Nikon says that gives the camera better viewfinder visibility when shooting at the maximum burst rate. I really loved my time with the D4. I shot all kinds of stuff with it for a couple of months and it never let me down. I didn’t have any problems with the auto focus performance but I certainly won’t complain about Nikon improving it. What I’m really excited about is the increased ISO range. Being able to shoot at ISO 6400 already seems like science fiction to me. Getting the truly useable image quality at ISO 25,600 is just pure fantasy. 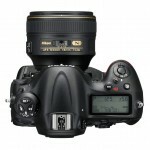 It’s going to make the previously impossible, possible – especially for event, sports, wildlife and news photographers. Leave your flash at home. You’re not going to need it. The Nikon D4S is scheduled to be available in just a few days – March 6th, 2014. The suggested retail price is US $6499.95. Setting up a higher bar ! Good to see the specs here FIRST in PR!